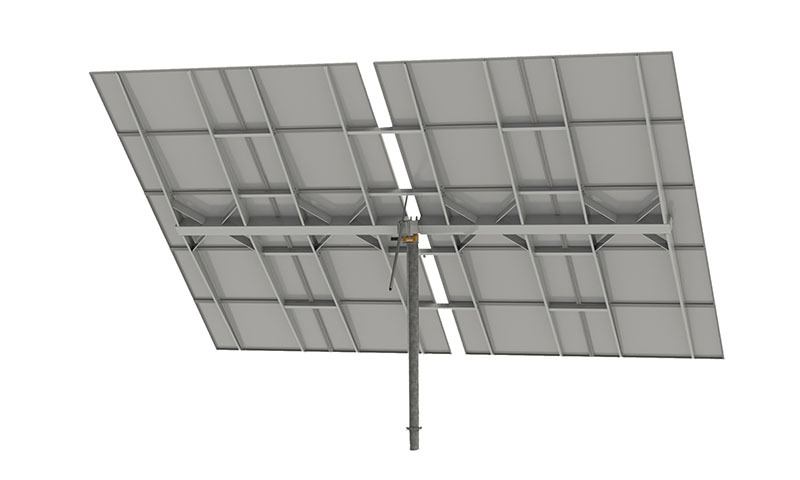 PVAST 327 is a fully integrated 32,7 m2 aperture photovoltaic tracker, including 20 REC 265PE modules, with a total of 5,3 kWp of power. This unique design can arrive at its destination as a single unit ready to be used. Previously, the product is assembled at decentralized facilities so it can be transported and installed as a single unit. This is possible thanks to a single production process, which has the purpose of optimizing logistics, simplify assembly and reduce the installation and commissioning costs and. Pole mounted tracker using high accuracy actuators and stepper motors. Continuous tracking system for increased reliability and reduced consumption. Can be installed by driving pole into the ground. Very cheap process for large installations, as it is done using automated equipment. Low environmental impact as can be dismantled using the same machines. 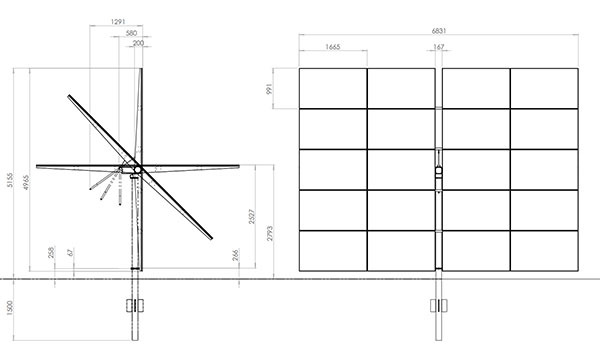 Very efficient and cheap to install in multi MW solar farms. For small installations concrete foundations can also be used. Can be easily installed on top of flat rooftops.